The idea behind Blog the Recession is simple: instead of scanning your favorite blogs via a reader, click through the actual blog. Go through their archives. Leave some comments. Stay a while. The idea is that those extra clicks can add up for bloggers – at least those who have their acts together enough to know how to read their stats and ostensibly make money from them, that is. Ahem. 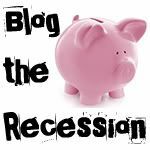 Join Blog the Recession today! And feel free to leave me some tips on how to make some money from blogging. I'll comment to help you out. I LOVE your blog. 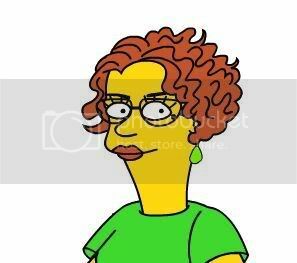 You have a great sense of humor and an awesome writing style. I'm loving the great response from this blog the recession. I'm a click over kind of gal and hope everyone else follows through, too! Woo hoo -- I'm also blogging the recession! I love the response that is coming from this! Trying to do my part as well! Just clicking through. I love your blog design! I love this! I'm blogging the recession too, and finding some great blogs to read in the process. Love your sense of humor! Of course it's positively unAmerican to think this "recession" is real. Oh, that gas station down the street? Never mind the price that went up 10 cents a gallon overnight. It's just my imagination.